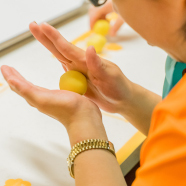 To Experience the happiness by handmaking cookies, Chinese Dim Sum, handicafts, etc. 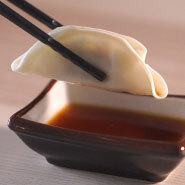 How are frozen buns and dumplings made? 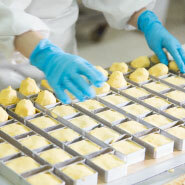 Take a look of food manufacturing process through glass windows of the factory. Chimei Theme Restaurant and café provide both Chinese and Western cuisine as well as a cup good coffee to satisfy your taste buds. There are exhibition areas with interesting figures to lead the story line, illustrations plus educative interactive technology to help explore the relationship with good food and life. (3)Group reservation: Over the telephone (+886 6 2698588 ext.9 or ext. 12241) Group visitors who are over 20 people should make the reservation online. The confirmation of the reservation is completed only after our staff confirms the information with the applicant via telephone. (1) Reservations should be made for guided tour, and the service will be provided to a group of 20 people or more. (2) The guided tour lasts for 30 minutes. (1) For any changes, visitors should contact us three days earlier to reschedule the guided tour. (2) Visitors and groups who made reservations for the guided tour and are late for more than 15 minutes without earlier notice, the Happiness Factory reserves the rights to cancel the guided tour. 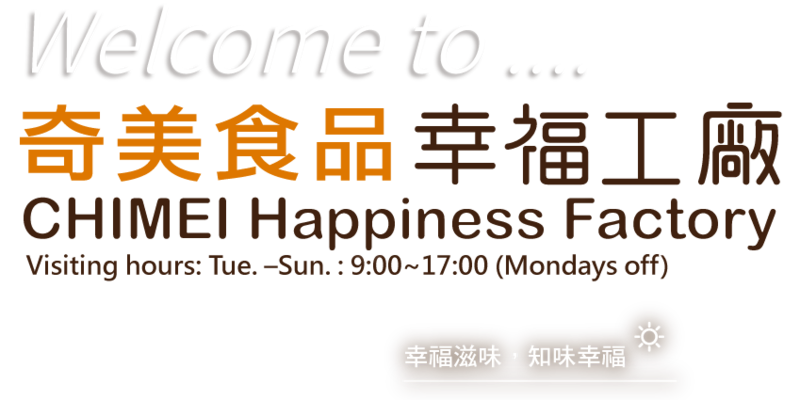 (3) In case of uncontrollable natural disasters or accidents, including the governmental announcement of a day off due to the above reasons, the Happiness Factory will be closed on the day. We apologize for any inconvenience that may cause. 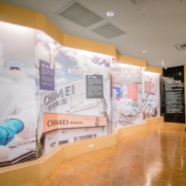 (1) Due to the interactive multimedia platform and the many electronic devices in the Shao Bao Image Hall, food and drinks are not allowed in this area. (2) Except for guide dogs, pets are not allowed to enter, and the factory don't provide safekeeping service. Feel free to contact us at 886-06-2698588 for more information during opening hours.